This store operated for the three months leading up to Christmas. The store sold exclusively Christmas decorations and giftware. 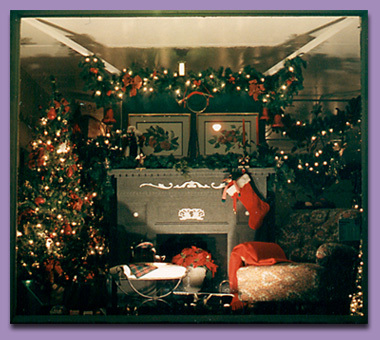 This window display was meant to give the illusion of a home decorated for the season.